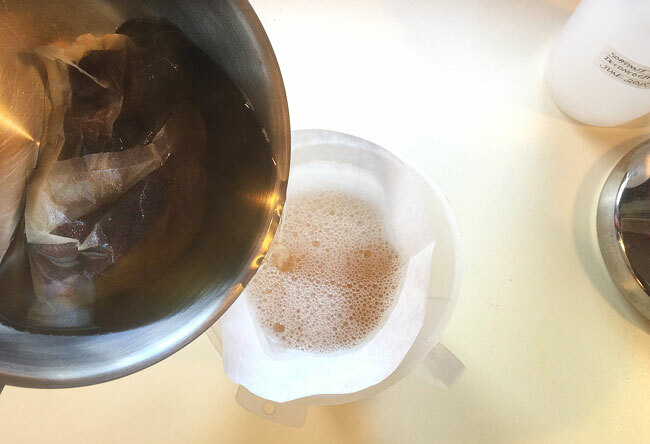 You're already an old pro at making a decoction from the earlier post where we made one with soaproot, so let's jump straight into making a decoction with soapnuts (also called soap berries). If you're curious to know a bit more about soapnuts, check the links at the bottom of this post. 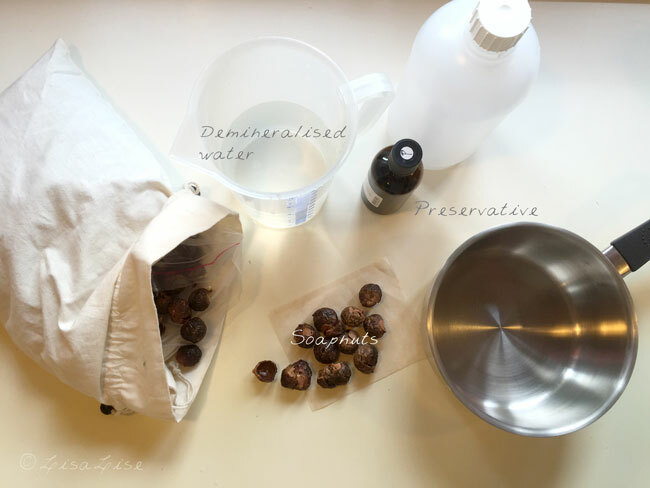 The method is quite similar, but there are a few soapnut-specific tips to be had, so let's go through the process step by step. A few of you have asked me which preservatives I use for decoctions and if it is ok to use X or Y preservative. My personal fave and the combo that has never failed (for infusions, decoctions, hydrosol-based lotions, creams and a number of other products) is a mix of phenoexethynol, ethylparaben and methylparaben. A similar combo (also broad spectrum) is sold by many cosmetics suppliers under the name Phenonip. 12. 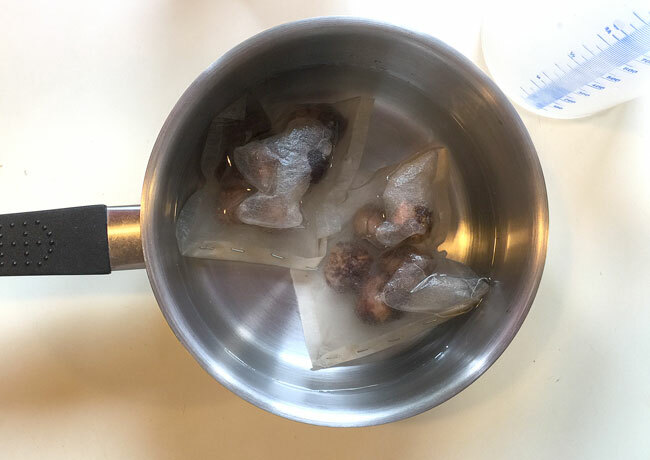 (extra soapnut-specific tip) Squeeze the bags to extract as much liquid as possible. Here, I used a spoon to mash the bags against the side of the pan. The pH of this soapnut decoction is 4.5. 15. Rejoice and enjoy all the soapiness you just made! 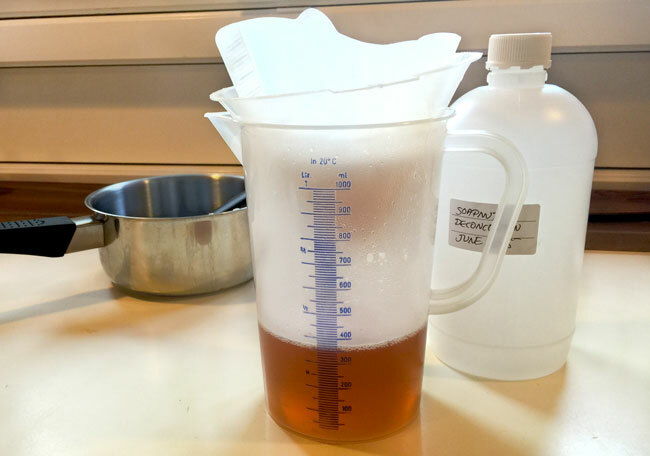 This batch started as 500ml with a final yield of 420 ml. Hi Wendy - great question! 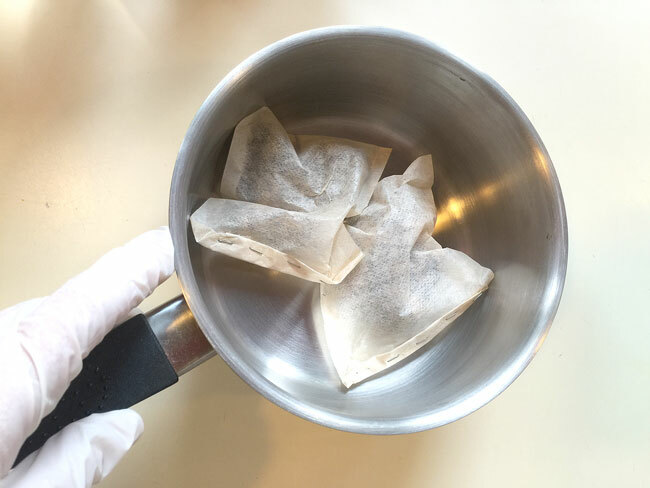 I have never worked with soap nut in powder form, so I'm guessing it is 'merely' dried and powdered soap nuts and they do not dissolve completely in water. If this is the case, then I would suggest using 25 grams of the powder. It is in any case a question of how concentrated you want the final mixture to be. Where do you buy soapnuts from? When I was in India they were easily available not sure where to find them here in the US? Thank you for this post. I have now made this decoction. I made a vanishing cream on this basis which works like a beautiful cleanser which can be washed off with water rather than a cloth. I am obsessed with the result, considering how new I am to the whole DIY skincare. Thank you for your insights!! My inspiration was Niod Sanskrit Saponins cleanser. Here is my formula as a thank you (you probably have thousands of your own, but I am superhappy with this one). 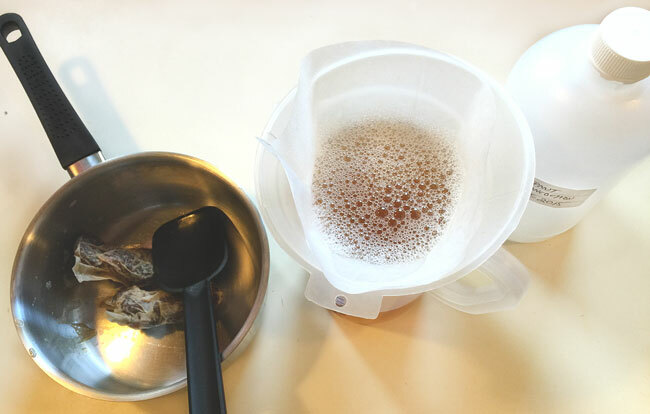 add stearic acid to soapnut water. Hit up in a water bath until melted. once melted, add triethanolamine and mix. CHeck PH. Add Citric acid. check PH again (should be in a range of 6 or so).